Study of transport processes at different temporal scales, focusing on the so-called ‘Hot-Spot’ regions, such as the mountain areas, Mediterranean basin, monsoon tropical areas. Development of an infrastructure system for climate and environmental monitoring, based on the integration of different kinds of observational techniques (in-situ, remote sensing), focusing on polar areas (Arctic and Antarctica), high-altitude regions (Alps and Apennines) and the Mediterranean basin (Po valley, coastal and insular areas of Southern Italy, Saharan region). Study of dynamical, radiative and physico- chemical processes at air-sea-land-snow-ice interfaces and on the vertical atmospheric column on polar regions. 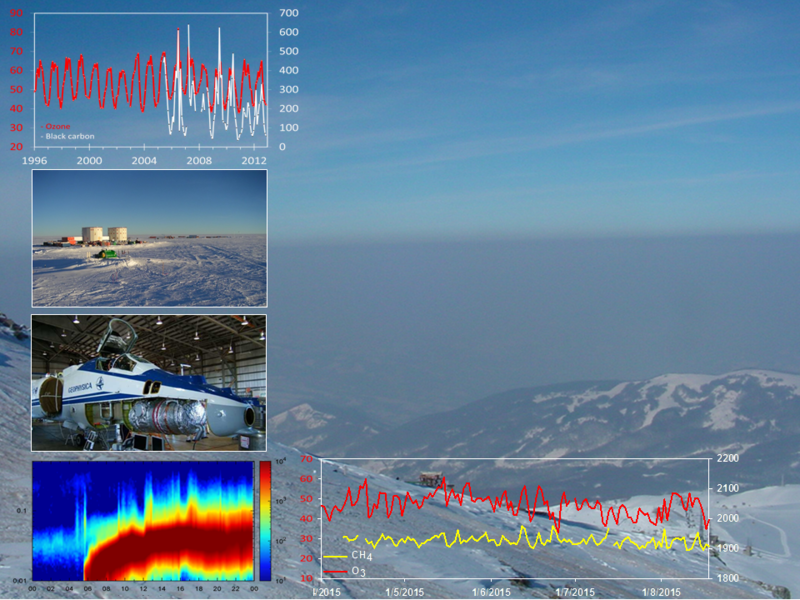 Development of technological systems for atmospheric composition observations. Development of solutions for design, optimization, characterization and structures evaluation for renewable energy. Implement new concepts for environmental-climatic monitoring. A comparison of in situ microphysics and optical remote sensing of Polar Stratospheric Clouds in Antartica.